(Bloomberg) -- Just outside a dusty village two hours drive south of Beijing, there’s an empty lot which will one day be one of Asia’s largest railway stations. 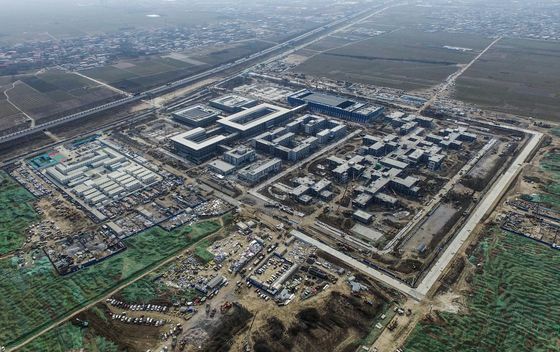 This is Xiongan, which President Xi Jinping designated just over a year ago to be a glittering new high-tech city teeming with leading-edge companies, research institutes and world-class transportation. It’s seen becoming a model for China’s future urban development -- an alternative to congested streets, chronic air pollution and sprawl. Things are off to a slow start though, and locals tell of shuttered factories, lost jobs, and a gold rush gone bust in the sleepy region, which was known for its orchards and lotus flowers. After Xi rolled out his vision for the new city in April last year, textile and plastics factories were closed by local authorities to make way for grand new avenues and state enterprise offices. Investors who flocked there to buy property -- an activity that was quickly banned -- or open restaurants and shops to turn a dime on the president’s pet project, soon learned that not all developments in China move at warp speed. That’s left the local economy in limbo as inhabitants wait for planners in Beijing to act. "People in all types of businesses -- advertising, construction and big data -- have left," said Che Yongmei, manager of the “Taking Time” coffee shop in the Huiyou shopping mall in Rongcheng county. "They invested and lost their money." Bumpy starts are not unusual for such grandiose projects and few analysts doubt that eventually Xiongan will emerge as another great Chinese city, just as the Pudong financial district in Shanghai rose from a swamp back in the 1990s. It’s officially deemed a strategy crucial "for a millennium to come" -- so there’s plenty of time. "China needs a new development model," says Larry Hu, head of China economics at Macquarie Securities Ltd. in Hong Kong. "It can create it in Xiongan because it’s small. The bigger question is whether it can be replicated in the rest of the country." What’s happening in Xiongan may be a sign of things to come as the world’s second-biggest economy moves toward its goal of becoming a technological leader. For that to happen, the government decided that local industry -- such as the workshops of Guanlimahu village near the planned station -- must give way to more advanced industries like biotechnology and information technology. According to a publicity video produced by China’s foreign ministry and the provincial authorities, Alibaba Group Holding Ltd will connect the city’s transportation, energy, water supply and other basic facilities to its cloud, so that the city can regulate itself based on big-data. 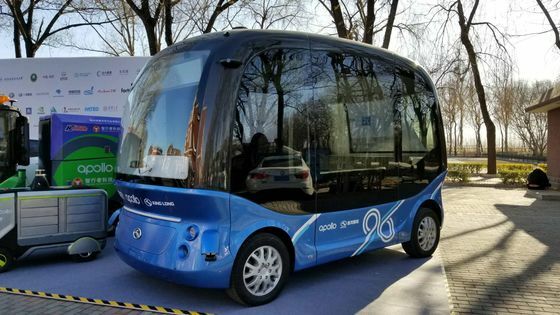 Baidu Inc.’s Apollo autonomous driving system will also play a role in the city’s transport network. That’s scant consolation for people like Zhang Yangcun, 54, who says 200 villagers out of 500 are out of work after factories were closed. It’s tough, too, for Jing Yunhua, 51, the owner of a plastics workshop which hired about eight people during peak season. Now she spends most of the time taking care of her grandchildren. “I’m living on my savings, “ she said. “But I have to support the new zone. That’s the big thing, the business of the nation. We all welcome it." Construction of a high-speed rail line connecting Xiongan to Beijing started this year and it should be operational by the end of 2020. That will cut the commute to Beijing to about 30 minutes. Morgan Stanley expects investment in infrastructure and relocation to total about 2 trillion yuan ($313 billion) in the first 15 years, it said last year. 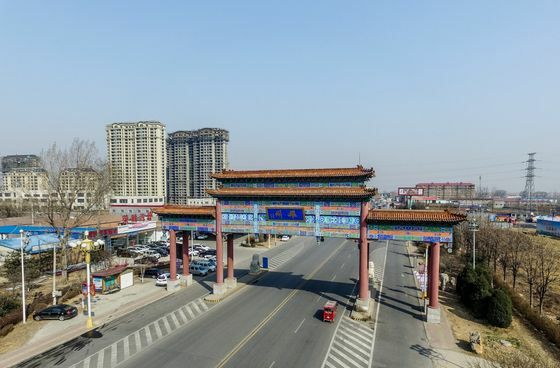 By 2035, Xiongan is seen developing into a modern city that is green and intelligent, ending China’s "big city malaise," according to a master plan released in April. The government should aim to keep the zone’s population at 5 million people in the long-term, an official think-tank advised, about five times larger than the population of the region in 2016. China’s top-down development strategy has lifted hundreds of millions out of poverty over the past four decades -- but it has often brushed aside the concerns of ordinary people. From the more than one million resettled to build the Three Gorges dam to the citizens of Beijing or Shanghai evicted from their traditional neighborhoods to modernize those cities, national development’s always been the priority. "It should be no surprise if the Xiongan project harms the locals," says Derek Scissors, chief economist at the China Beige Book in Washington. "It was never intended to benefit them."